Compendium Living offers homes for sale to meet every need. So whether you’re just starting out, looking to upgrade your home or simply looking for a new start, we have the home for you. With a Helping Hand from Compendium Living, there's now a better way for you to buy a new home. The Compendium Living Helping Hands Scheme* makes selling your home easier with no estate agents fees to pay. Designed to help you move to a more expensive property, move sideways or downsize, Helping Hands is ideal because you can secure your new home whilst we get on with selling yours. Compendium Living will arrange for an independent valuation of your existing property and our Sales Advisor will guide you through our Helping Hands Scheme. *Offer available on selected developments and properties and subject to terms and conditions. Please ask our Sales Advisor for more details. Available on house purchases up to £600,000 in England, Scotland and Wales. 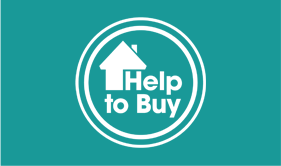 Help to Buy equity loans is available to all new homebuyers, not just first time buyers. We are here for you every step of the way, simply call or visit us to find out about all the helpful ways we can help get you moving. An exciting development of high quality 2, 3 & 4 bedroom homes, that will revitalise the heart of Derby.